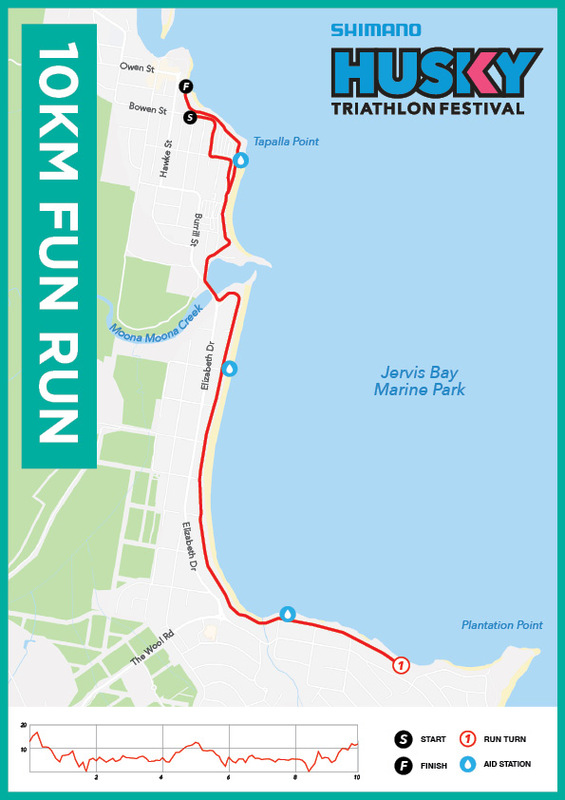 Husky offers some of the most picturesque run tracks in the region, so no matter what your distance is, check out the awesome surrounds of Jervis Bay, Huskisson in a fun run! Race Briefing will be held in the Husky Pub carpark for all fun run events. Runners are NOT to move onto the road until their race has been called to do so. All runners to keep to their left throughout the run course. Race Start will be on the roundabout next to the Husky Pub. Athletes are to stick to the left at all times throughout the race and be mindful for other athletes. One the race has started the athletes will make their way down to the turn cone on Owen st, turnaround and head back towards the round about. After passing the round about athletes will head up to the turn cone placed on Hawke St, Turn around and head back towards the round about. After passing the roundabout athletes will again head down towards the turn cone on Owen St and turnaround. After this turn on Owen st athletes will be heading back towards the round about but BEFORE they get there they will make a left hand turn down towards the wharf. Athletes will turn right at the Wharf and make there way onto the foot path which will lead them back up and around the event site. 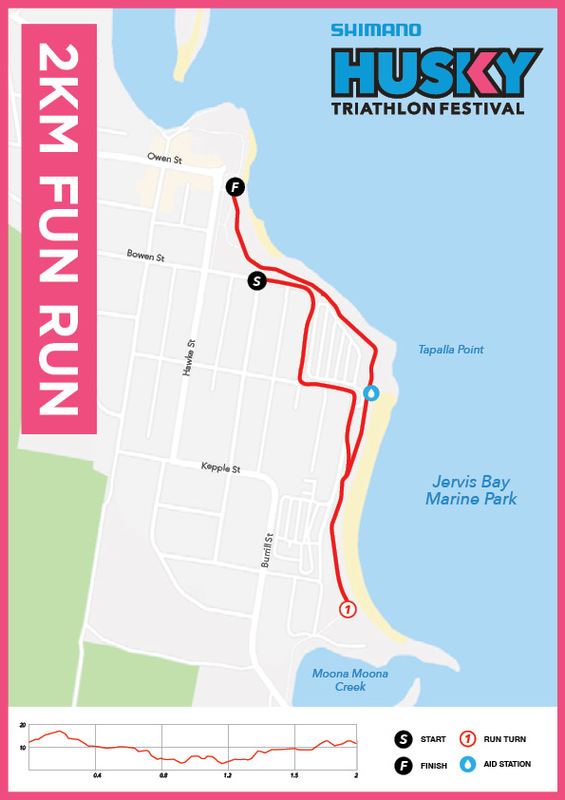 The 10km athletes will then follow the scenic footpath out to their turnaround past Moona Moona Bridge out on Illfracombe Ave, once they have turned around they will head back to the event headquarters the same way they came, just prior to the finish shute the 10km athletes will make a U turn and head back out for their 2nd lap. On their way back from their 2nd lap the athletes will head into the finish shute and finish their run under the finish arch. One the race has started the athletes will make their way down to the turn cone on Owen st, turnaround and head back towards the round about. After passing the round about athletes will head up to the turn cone placed on Hawke St, Turn around and head back towards the round about. After passing the roundabout athletes will again head down towards the turn cone on Owen St and turnaround. After this turn on Owen st athletes will be heading back towards the round about but BEFORE they get there they will make a left hand turn down towards the wharf. Athletes will turn right at the Wharf and make there way onto the foot path which will lead them back up and around the event site. 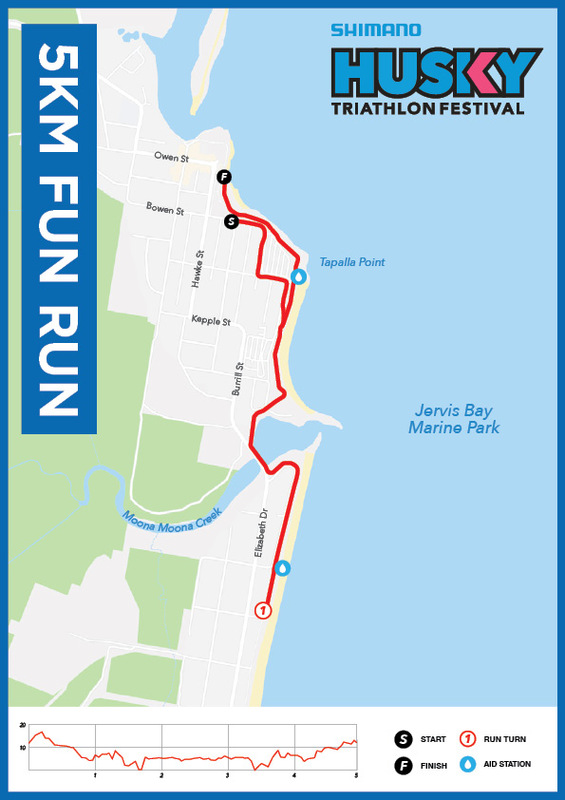 The 5km athletes will then follow the scenic footpath out to their turnaround near Moona Moona Bridge, once they have turned around they will head back to the finish the same way they came, entering the finish shute and finishing their run under the finish arch. One the race has started the athletes will make their way down to the turn cone on Owen st, turnaround and head back towards the round about. After passing the round about athletes will head up to the turn cone placed on Hawke St, Turn around and head back towards the round about. After passing the roundabout athletes will again head down towards the turn cone on Owen St and turnaround. After this turn on Owen st athletes will be heading back towards the round about but BEFORE they get there they will make a left hand turn down towards the wharf. Athletes will turn right at the Wharf and make there way onto the foot path which will lead them back up and around the event site. Once they approach the finish shute the 2km fun run athletes will take a hard right hand turn into the finish shute and finish their run underneath the finish arch. Collection of your registration pack is compulsory for all individual entrants.